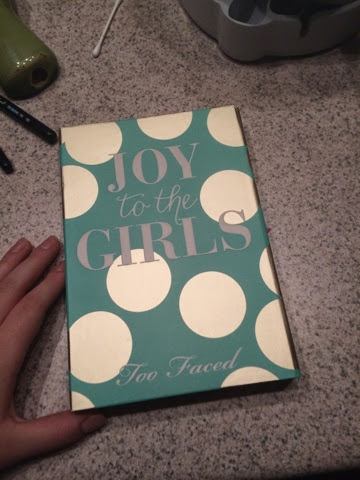 I finally received my Joy to the Girls palette that I got for 80% off, and it is beautiful. I haven't used it yet, but I can see it becoming a favorite. The colors are beautiful. 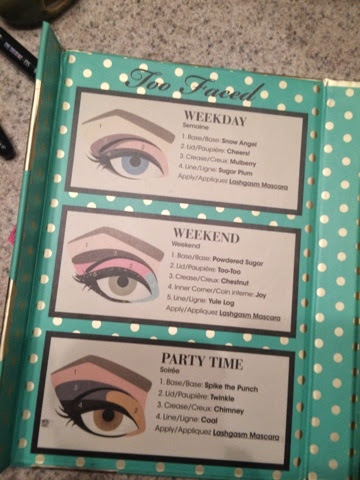 I also love that there are some matte shades! More importantly, there are dark matte shades. 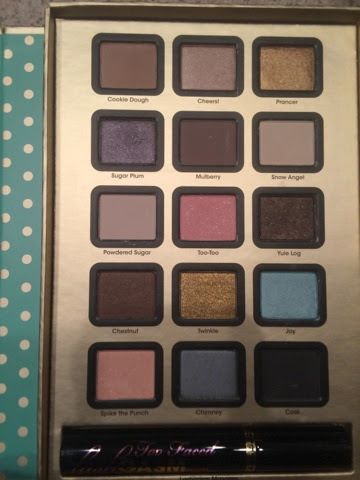 So many palettes now are all satin and glitter finishes. I am a strong believer in a matte crease shade. I feel like different textures and finishes add different dimensions to your look. 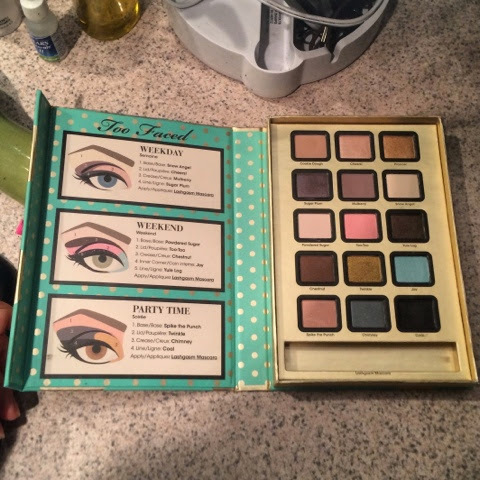 I am so happy that this palette has mattes, glitters, and satin finishes. 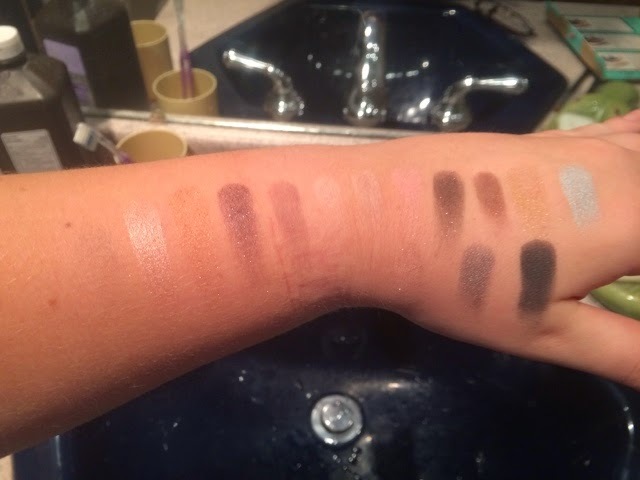 I swatched all of the shadows left to right. 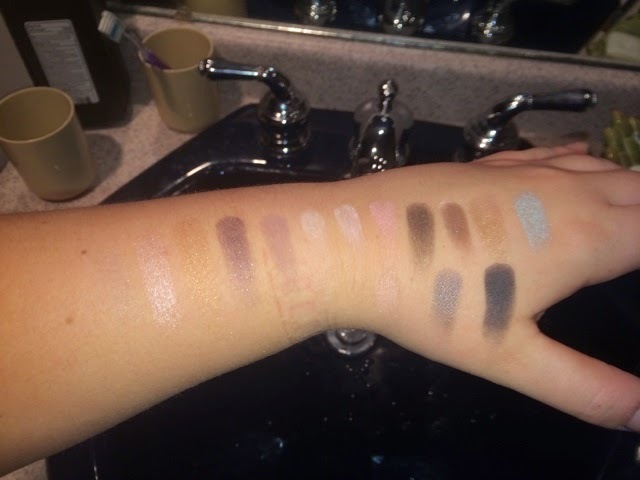 The very first shade I swatched does not realy show up because it is a matte transition shade. The first is without flash, and the second is with flash. So far cheers, twinkle, and sugar plum are my favorites. I also love the names of these shadows, they are so festive and happy.